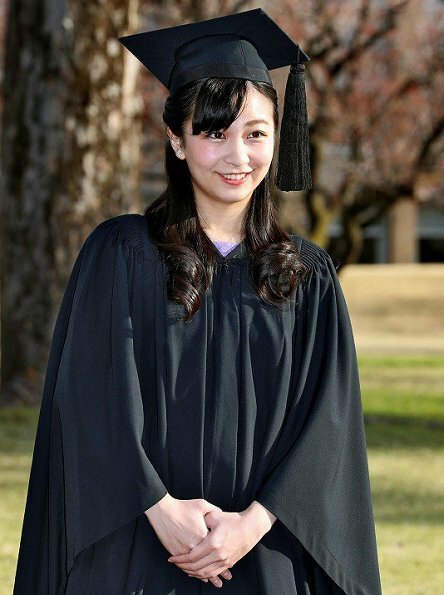 Princess Kako, a granddaughter of Japan's Emperor Akihito, graduated from International Christian University in Tokyo. 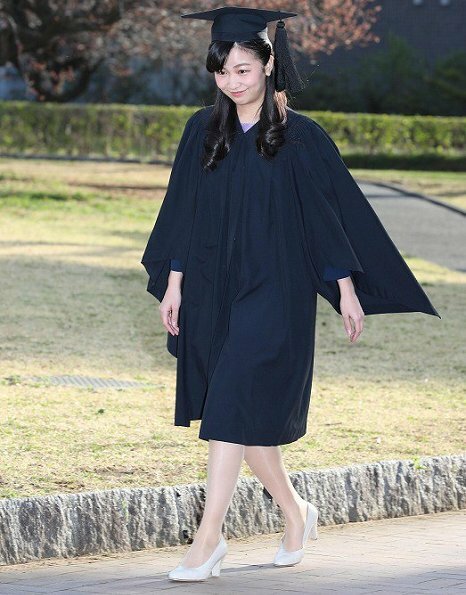 The younger daughter of Prince and Princess Akishino wore a black gown and mortarboard for the graduation ceremony on Friday. 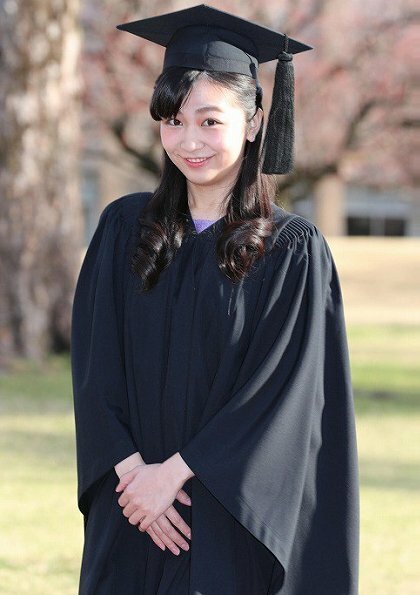 Princess Kako was among more than 500 students of the College of Liberal Arts who attended the school's graduation ceremony at a campus chapel. 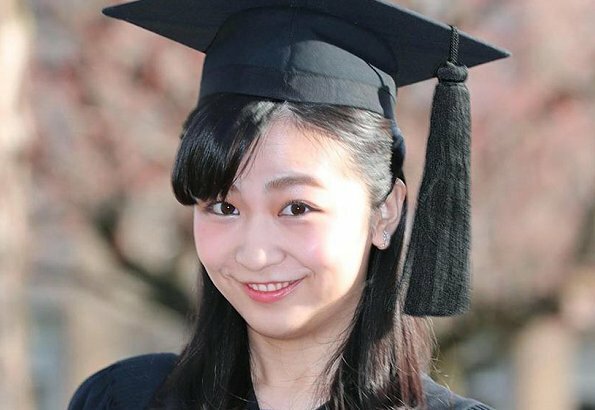 The Princess also studied performing arts and psychology as an exchange student at a British university for about nine months. Happy Graduation. Now it really starts, a new stage of life. Work and maybe even planing for a family of her own. 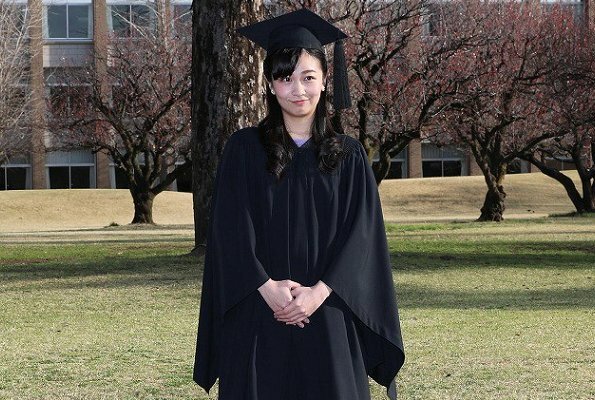 I wish her all the Luck in the World. She looks very sweet and lovely; she seems to be kind and genuine. Like her! 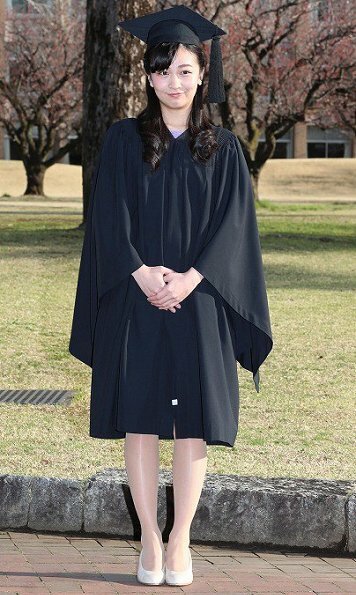 Hmmm... the graduation robe has a nice cut and style and is the correct length. Looks nice blowing in the wind. Also is the perfect shade of black. Not crazy about the hat. Tassel is too long. Congratulations to the Princess. Mush success in the future. I hope this is another step in the modernization of the Imperial House.